1	 THE MAGNIFICENT SEVEN	 9GO! 11	 THE BIG BANG THEORY -EV TX2	 9GO! 5	 THE BIG BANG THEORY -EV TX1	 9GO! 1	 THE BIG BANG THEORY -EV TX2	 9GO! 2	 THE MAGNIFICENT SEVEN	 9GO! MAFS hits season high. Episode 5 2018 attracted just over 800,000 viewers so year-on-year growth in audience is strong. Comparable MKR episode from 2018 had 1.1 million – 300k audience members lost year-on-year. Celeb also looks down year-on-year. Strong retention for 60 Minutes out of MAFS. The Cry got off to a decent start. Seven News makes the most of the cricket lead-in with a rare Sydney win. Great results for Nine’s programs though I think Married AFS could have gone higher even though it started to gain momentum in the 2nd week last year. MKR still well down on same time last year when this episode had 1.1 million. The first Sunday episode last year was lower than anything that aired the week before it. That hasn’t happened this year. The reverse has. I’m surprised MKR retained most of its audience. The same old dinner parties would surely be coma-inducing and overly repetitive. MAFS once again dominant, although could’ve been better. Celebrity steady, beating MKR in two demos is quite a feat. The poor form of the Scorchers continue to hurt BBL ratings in Perth, with the first innings (when the Scorchers batted against the Stars) outrated by Married at First Sight. Good start for The Cry against tough competition. Looks like the reality shows have settled to the same/similar ratings now. I’m watching MAFS and the 90 minute episodes are hard to sit through because they’re so long. I don’t imagine two hours of MKR would be doing it any favours at all. It’s excessive, unnecessary and completely counterproductive. Great night for Nine, helped by lots of promotion, even late night got a boost. 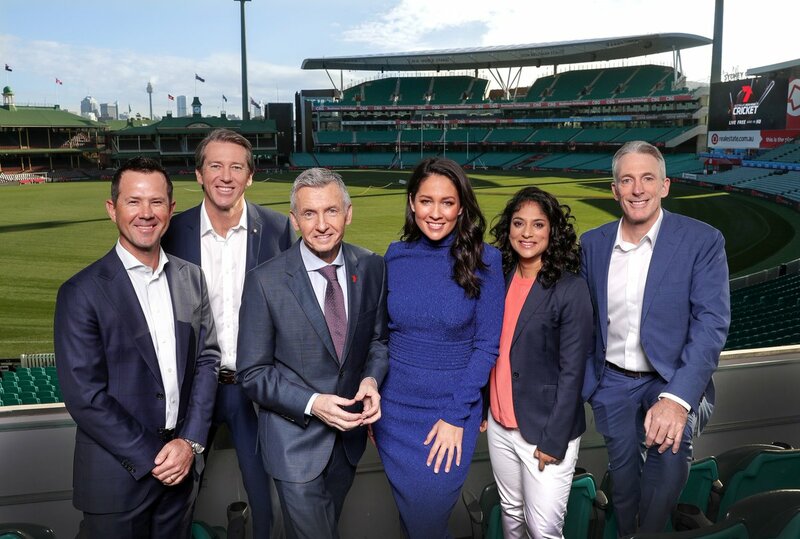 All things considered a poor night for Seven (only got 20%+ main channel share because of late night BBL which itseelf was bad again), when you consider they had all that day time promotion for days with the cricket test and lead-in on the day, also evident big switch off from Seven News! Though good audience watching cricket late afternoon with a bit more action. 10 feeling the pinch now, into 500k for bulk of episode. With NQ flooding. Seven News Brisbane with 203,000 smashed Nine’s with 148,000 a poor result for Sunday with such big news. Weekend Sunrise was 50,000+ ahead of a sub- 200,000 Weekend Today. 60 Minutes ratings were the highest since the episode following the 2017 Block final. First time Seven hasn’t mentioned MKR in daily ratings spin. Celebrity is actually up if we look at the corrosponding 2nd last Sunday episode from last season. In that respect it’s up 10k on the bulk of the show and 29k up for the elimination. This season is also 15% up on last season. If we take a look at all that, MKR is the loser out of the three reality shows, being down heavily on last season and beaten by Celeb in 2 of the 3 main demos. Cool, I was looking at the same date in Feb. Shorter season looks set to have helped it. Seven were told to shorten MKR but they’ve gone in the opposite direction. Bloated episodes and the idea that the season still won’t have finished until April makes it even more unappealing. Yeah last year Celebrity started 2 weeks later so the same date would only have been the first week of the show. 7News very strong again last night in all cities. The James Bulger doco getting 500k+ is an outstanding result considering it started around 9.45pm. Now that Nine’s first quarter is virtually settled and winning, they should get ahead of the pack and start promoting The Voice and Love Island. Even short teasers could increase awareness and ratings ahead of launches in the next few months. For The Voice it is desperately needed, given last year’s woeful results. 9	 SHIMMER AND SHINE	 Nick Jr.
3	 SHIMMER AND SHINE	 Nick Jr.